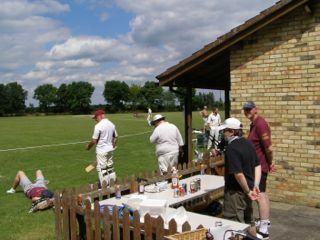 The wonderful weekend weather and the Fen Ditton Recreation ground provided the perfect setting for an afternoon of cricket. This was aided by the beer and barbecue. 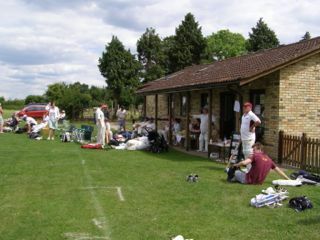 The Fen Ditton Cricket club organised a 6-a-side tournament which was won by Elmdon beating the team from Horsheath. Did we mention the hard working cooks?